to ensure you get a great pet that will keep you happy over its lifetime. Teddy bear puppies are quite popular, especially in places like Wisconsin, Connecticut, Ohio, Missouri, and Illinois. So, if you liv in any of these areas, you are in luck - there are lots of teddy bear puppy breeders in these areas, as well as other sellers. 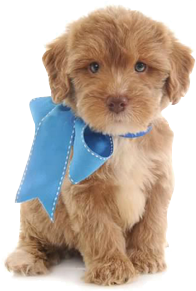 I would suggest you always look to buy teddy bear puppies from sellers who offer extras such as vet checking, vaccination, and even some form of health guarantee. Buying a teddy bear puppy, as with any other pet, requires vigilance on your behalf to ensure you receive what you paid for. Consider what former customers have to say about the seller you are buying your puppy from. Consider also how your potential breeder corresponds with you and watch out for inconsistencies. Unfortunately, some sellers may not be very nice to the pets they sell. Since the way a pet is treated will reflect in their behavior, you may end up with one that doesn’t play nice. You will then need to spend more energy than you expected on correctly training your new companion. When buying a teddy bear dog, focus on legitimate sellers to ensure you and your new pet are happy. We've compiled a list of known breeders here, but be aware that we are not associated with them and can't vouch for their legitimacy. If you have any concerns with a breeder please do let us know. Watch for the signs (and report them if you feel very sure of your perceptions!). These puppies can live for over a decade, so you should never rush the decision to buy one.